Next up is a tough little Bluetooth speaker that was provided to me by Boombotix, from the Boombot collection, comes the REX. 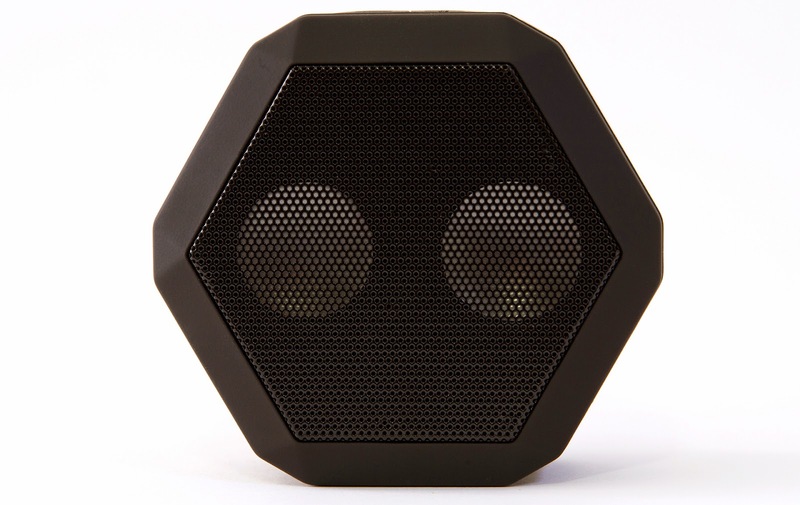 REX is a compact and portable speaker that sports a hexagonal design and a clip on the back to take on the go. The Boombot REX is a redesigned version of the previously released T-Boombot REX, but this build adds 50% more battery life, side mounted ports and buttons, along with a more portable and ergonomic design. Now that the details are out of the way, it is time to see how this uniquely shaped speaker performs. First off, the REX is a much better design than it’s predecessor as the side buttons and input are easier to access, and being that it includes a higher capacity battery, it results in charging less often. Dual 36mm drivers deliver stereo sound and the accompanying radiator adds depth to compete with some of the larger and less portable speakers. The feature in which I didn’t think I was going appreciate became my favorite feature, the clip on the back. It clips easily to my pocket or belt, but clipped to my laptop bag strap is where the REX will stay. 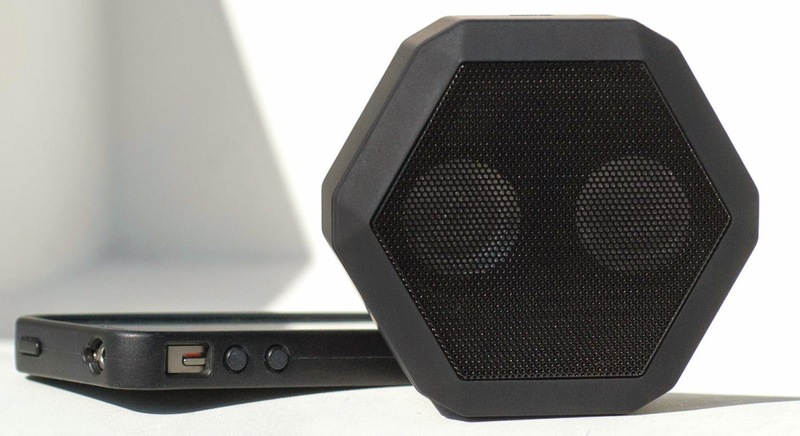 The sound quality provided by Boombotix Bluetooth speaker crisp and loud for its small stature, unfortunately the passive subwoofer does little for the mid and low range. 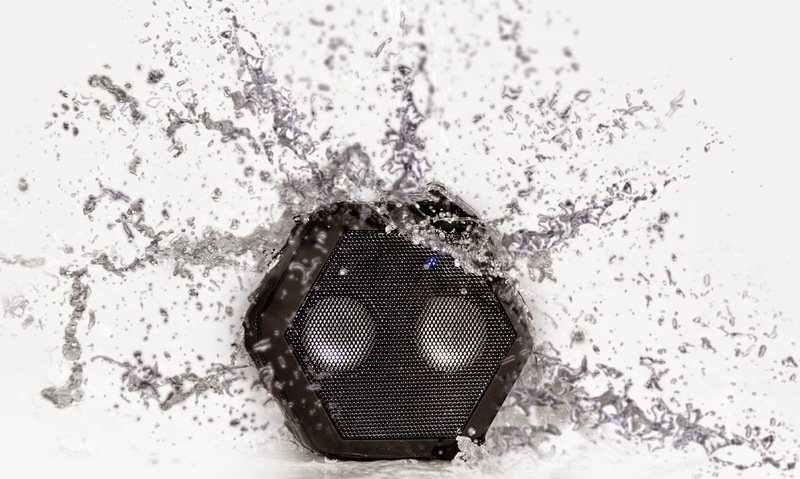 All in all, the Boombot Rex is a great speaker to take your music with you on the go or add volume to a small room. The Strong clip and water-resistant build really allows it to be taken anywhere and if headphones are not your things but personal audio is a must, then the might REX fits the bill. 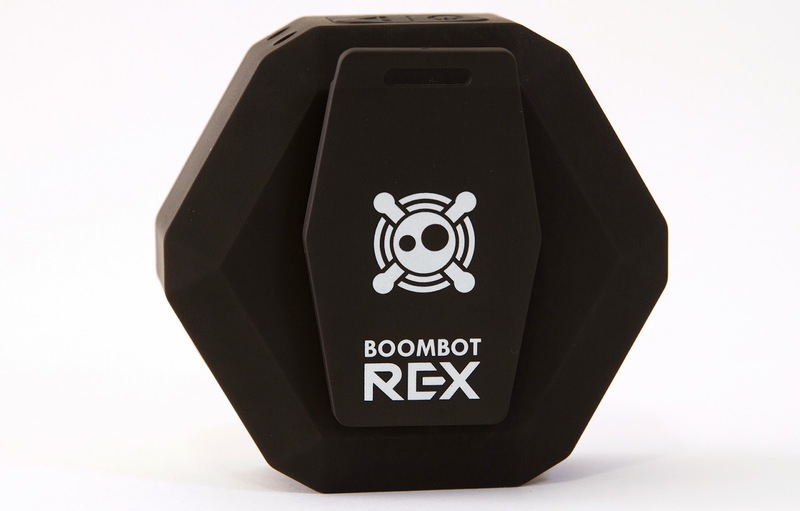 The Boombot REX is available now in assortment of colors for the price of $99.99 from the Boombotix store.